You might be familiar with Zillow. “The leading real estate marketplace” that allows you to search through millions of for-sale and rental listings. Zillow provides a huge wealth of information on all kinds of properties, all over the country. Many people turn to Zillow to look at property values and check out features of a home they’re interested in. Zillow’s property values are called “Zestimates “. Zestimates are an estimated market value for an individual home. These estimates come from a special algorithm designed by statisticians for Zillow. While it’s a starting point to determine a home’s value, Zestimate aren’t appraisals. Zestimates can also create a prediction of a home’s Zestimate a year from now based on current information on a property. 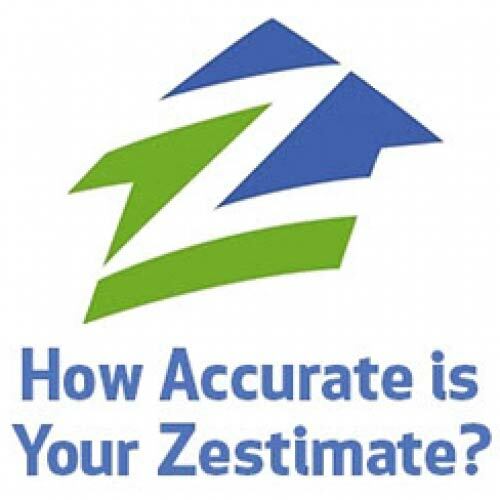 These Zestimate forecasts also work to create an estimated monthly rental price. The Zestimate takes into account information like special features, location, and market conditions. However, it’s important to remember to take other information into account, too, when comparing properties. You want to consider a comparative marketing analysis from a real estate professional, an appraisal, and actually visiting the house. A Zestimate can not tell if one house has an updated kitchen or bathroom, or a screened porch or outstanding landscaping. These are things that take “boots on the ground” to see and evaluate. Accuracy of the algorithm of Zillow’s Zestimate software depends on location, and availability of data in a certain area. You’ll find some counties with much more information on houses like number of bedrooms, bathrooms, and square footage while some counties have none of that information. The algorithm has a median error rate of 5%. Here’s a great example to explain that number. In Seattle, Zestimate for half of the homes are within 4.9% of the selling price, and half are off by more than 4.9%. Zestimates are within 5% of the final sale price 53.9% of the time. What does that information look like within North Carolina? As of February of 2017, let’s take a look. So, what does this information mean? Most houses in North Carolina are on Zillow. What’s more is that most of the houses in Wake, Durham, and Chatham counties have Zestimates. However, Orange county homes don’t have Zestimates at all. While 48,300 homes are listed on Zillow in Orange county, there isn’t any information to describe the home values of the area. This is a great example of why we can’t rely on Zestimates alone to appreciate the value of a home. There’s no shortage of beautiful properties for sale in Chapel Hill. Of course, some of them are listed on Zillow. Consequently, they have a Zestimate on their listing page. While many of the homes have Zestimates, there are many in Chapel Hill in Orange County that don’t. A home off of Hayden Pond Lane in Chapel Hill with 3 bedrooms and 3 bathrooms at 2,500 square feet is listed at $498,000. However, there’s no Zestimate for the property; we can only tell it was sold prior in 2011 at $483,500. Zestimates tell you something. They’re starting points of information, and they can help shed light on to the values of homes. However, they’re not as accurate as looking at true comparable sales, and making adjustments for the differences between properties. There are several things the Zestimate won’t tell you, especially in an area like Orange County where there isn’t a lot of data regarding the percentage of houses sold within 5, 10, and 20% of their list price. The Zestimate won’t tell you about the local amenities near the property you’re looking at. 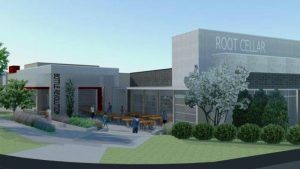 It won’t be able to provide insight on construction prices and actual costs of items such as an extra bedroom in a comparable home. A great source for neighborhood information is a local realtor or real estate professional. Real Estate Experts can help! Here, our company has provided the most current Triangle-area listings, hot off the press. You’ll want to visit us daily to check out new listings, as well as market trends, property tax data, school report card information, and more. As always, give us a call at 919-813-6449 for more information about all things real estate!